Cannabis Forward is pleased to offer continuing education credits for health care professionals through our affiliate program with The Medical Cannabis Institute. Health care professionals will receive 12 credit hours upon completion of this program covering clinical cannabis applications, the history of cannabis, the endocannabinoid system, and much more. To learn more, click here. 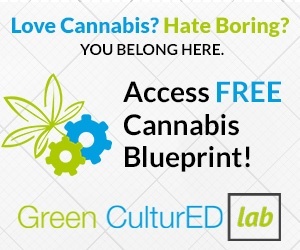 Cannabis Forward is pleased to offer certification programs for cannabis industry professionals who wish to excel in their field through our affiliate program with Green CulturED. ​Green cultured also offers courses for business owners. South Carolina Department of Health and Environmental Services will require cultivators and dispensary employees to show experience and education in the cannabis field. These programs will allow you to learn more about growing, safety, and the business of the cannabis industry. ​ensure job placement in the cannabis industry upon completion of these courses. The Medical Professional continuing education credits are backed by the ACCME and ANCC.